Only the account owner and supervisors can import data into Noko. Importing data into Noko is easy! 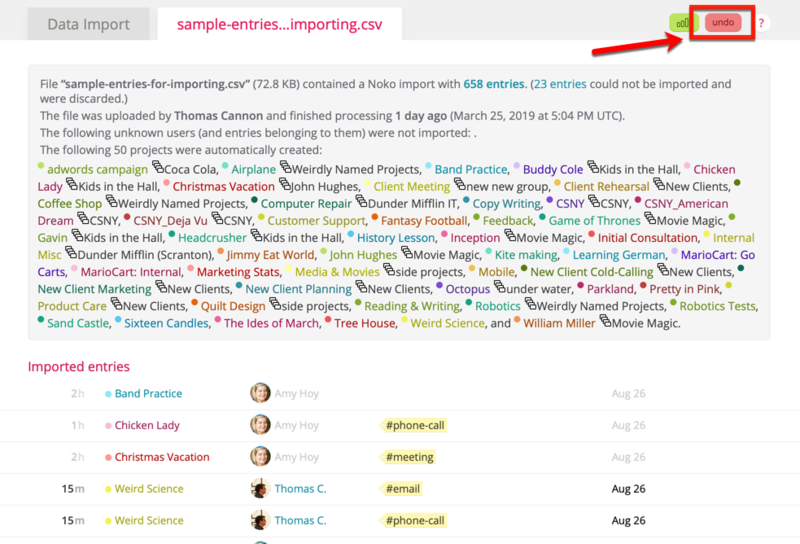 You can import data from Harvest, Basecamp, Freshbooks, Tempo, Toggl, Tick and—of course—from Noko exports. Plus, you can convert your own data into a format that Noko understands. All you need is a CSV file containing the time entries you want to import. If you're preparing a file for import yourself, see preparing a CSV file for importing for details on the recommended fields and formatting. Select a file to upload and set any options: By default, Noko will create any projects it find in the uploaded file which don't exist yet in your Noko account. You can also choose to change what happens when a user doesn't exist yet. To avoid potential confusion and additional billing, we never add users that don't exist yet (if you want to import data from people that do not have access to your Noko account yet, please invite them to Noko first). Under Show advanced options you can specify a field delimiter if your CSV files don't use commas, tabs or semicolons (Noko normally figures out the delimiter automatically). Click Upload file & start import! Depending on the amount of data in your CSV, importing can take a while. Once you see this message on the screen you can navigate away from the page, there's no need to keep it open. Wait for the import to finish. We show the progress on the imports page itself, and we'll also send you an email with a link to review your import once everything is imported. You can choose to undo the full import. This will remove all entries created when importing the file, and also any projects and tags that may have been automatically created. 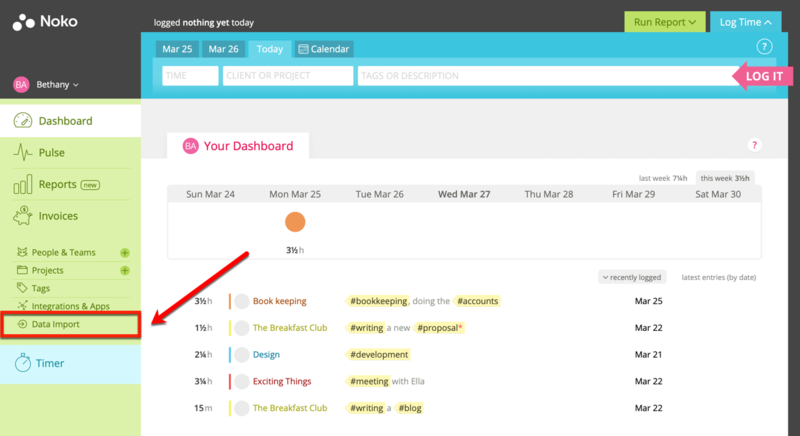 Note that if the projects or tags have been used in other entries since the import was created, they won't be removed.